To start, let’s look at our American contenders. With humble beginnings in New York as a hot dog cart, Shake Shack now enjoys success from 168 locations worldwide, eight of which are in the UK. 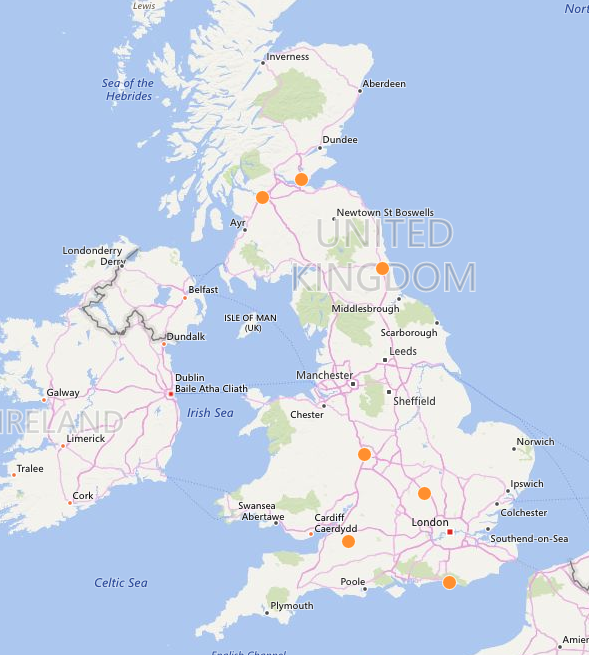 Aside from the one store in Cardiff, Shake Shack has chosen London as its home. 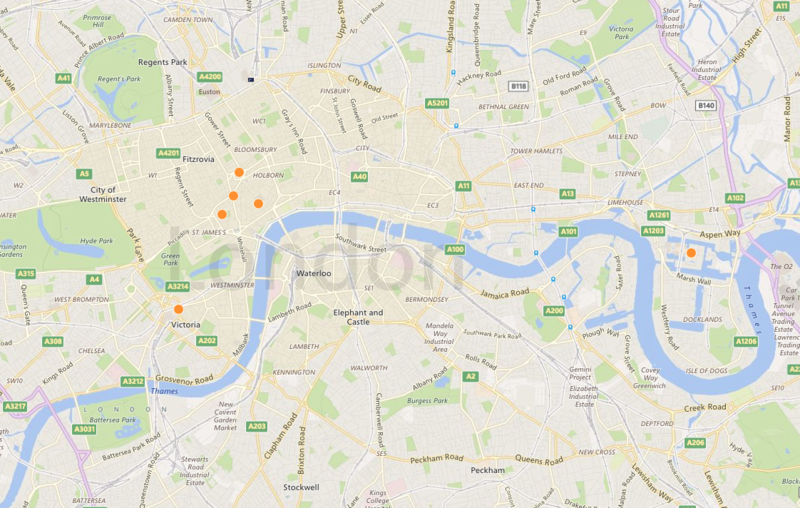 Its locations are based in key international tourist spots in London, such as Canary Wharf, Westminster, and Mayfair. Our health index uses 12 variables to measure whether a location is in a period of growth or decline, such as vacancy rate, catchment size and dwell time, to name a few. 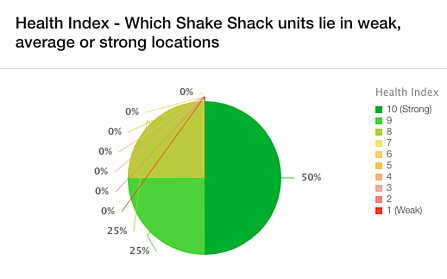 According to our Health Index, Shake Shack is based in locations that rate very strongly, with half the locations rated 10 of 10, and the remaining locations rated eight and nine. The other American brand I would like to review is Smashburger, which was founded in Denver, Colorado, in 2007 with the aim to give the people the burgers they deserve – i.e. Smashburgers. In 2011, they ranked 99th on the Inc. 500 list for fastest growing companies, due to their 2,673% growth in sales over a three-year period. So, have they managed to replicate this amazing growth rate in the UK? According to LDC data, Smashburger has increased its presence the most out of the brands included in this post over the past 3 years from 1 to 7 stores – which is about a 600% increase! Unlike Shake Shack, Smashburger has taken a different approach to establishing their foothold in England; instead of gunning for London, where you are arguably most likely to find American tourists, it's living up to its vision and is providing genuine American burgers to the whole of the UK. Smashburger seem primed to do well based on where it has chosen to establish its stores - its locations consistently score seven on our health index, with 48% of those venues in up-and-coming locations, with health index scores that have been on the up over the past 12 months. 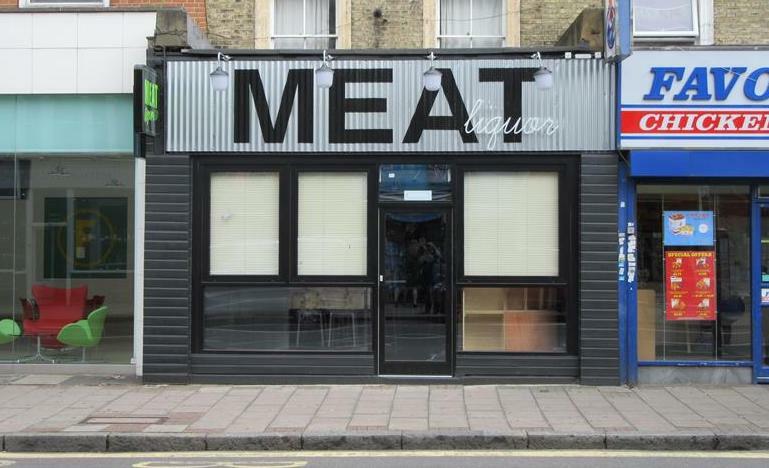 Over in the other corner, are our British competitors: Byron and MEATLiquor! Both chains have not been subtle over their American influence, emulating New York and Louisiana style respectively for their stores. However both and brands created by British nationals. While studying at Brown university, Byron founder Tom Byng ate Burgers all hours of the day (and night!). When his studies finished, he came back to the UK to find that there was a gap in the burger market - a gap which his new restaurant now fills. 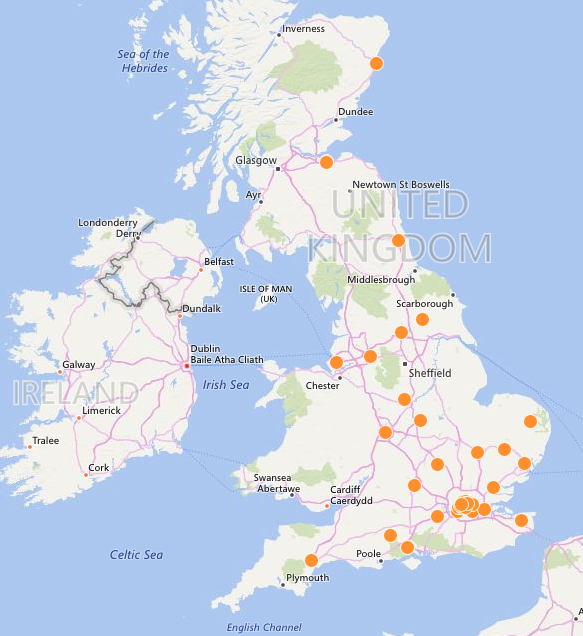 Bryon, like Smashburger, hasn't restricted itself to London, boasting a whopping 58 venues, with over half (27) based outside of London. 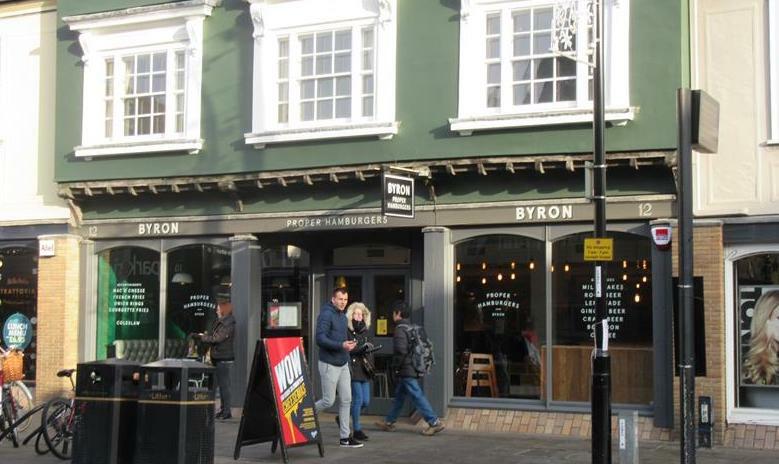 To achieve this, Byron teamed up with the Gondola Group who, I would imagine, were attempting to diversify their mostly Italian portfolio of restaurants and aided the acceleration of their expansion before selling Byron to Hutton Collins Partners in 2013 for £100 million. So, who’s doing the best? As an American living in the UK, I believe I have the authority (and the data) to make an unbiased judgement, and my conclusion is that it's pretty neck and neck. The British brands on this list have the home advantage and they know what their British customer likes. They’ve taken every mouth-watering aspect of American burgers and adapted the recipe to the British palate. Unfortunately, Byron had lost its pizzazz since its founder left. The investment firm Three Hills Capital Partners has seen the chain have to action a rescue plan to close at least 20 of their stores in 2018. Let’s hope the rescue plan will prove to be successful; with 6% of the market share, they are still an authority in the UK American restaurant industry. 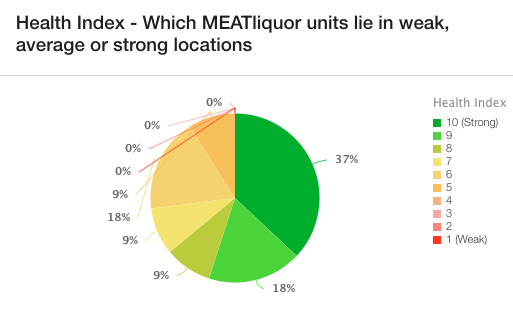 Our other British competitor, MEATLiquor, is also doing well here as the second highest performer, with 11 stores having been opened without any investor support, while Shake Shack has the backing of the Union Square Hospitality Group and has not seen as much growth. Despite Shake Shack having the backing of such a powerful group, they seem to be cautious about venturing too far from where they know an abundance of Americans will be – London. Smashburger, on the other hand, are doing extremely well in the states and as they consider launching their IPO, they are still finding the time to invest and develop their presence in the UK, ensuring its native cousins have access to authentic meaty treats. With one American restaurant from each country still finding their feet, and two taking ownership of the cuisine, I think it is fair to say that this is a draw. I'm particularly impressed by MEATLiquor and Smashburger due to the size and health of its estate, with the honourable Byron and Shake Shack giving a valiant effort. I’m glad to see that as an American living in the UK, I can be assured that I’ll find the taste of home, away from home.